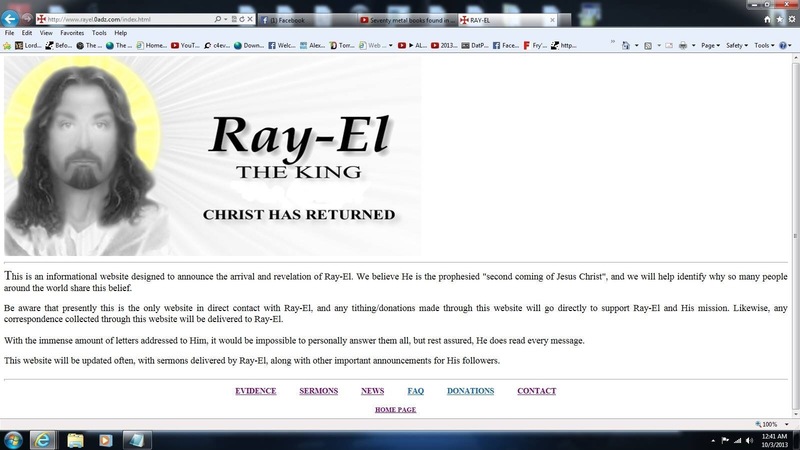 Following False Prophets Expose on Raymond Lear’s attendance at a Geocaching Event earlier this year, June actually, which was held in North Carolina in the United States, the very country that this phoney Lord RayEL has chastised since 2011, the false prophet ‘Moses’ known in human form as ‘Prime Cleric Richard Ruff’ of the Ecumenical Order of Christ responded to this revellation via FACEBOOK in The International Congregation of Lord RayEL. Obviously we are extremely delighted that this has been acknowledged by the ‘Messiahs MORONIC Monks’ and absolutely ecstatic that The False Prophet ‘Moses’Richard Ruff confirmed our research and took time out of his busy schedule of fudging Torah codes and asking for money to post such a slur. Never one to disappoint self confessed False Prophet Samantha Kennedy aka John The Apostle quotes the crossword puzzle again. 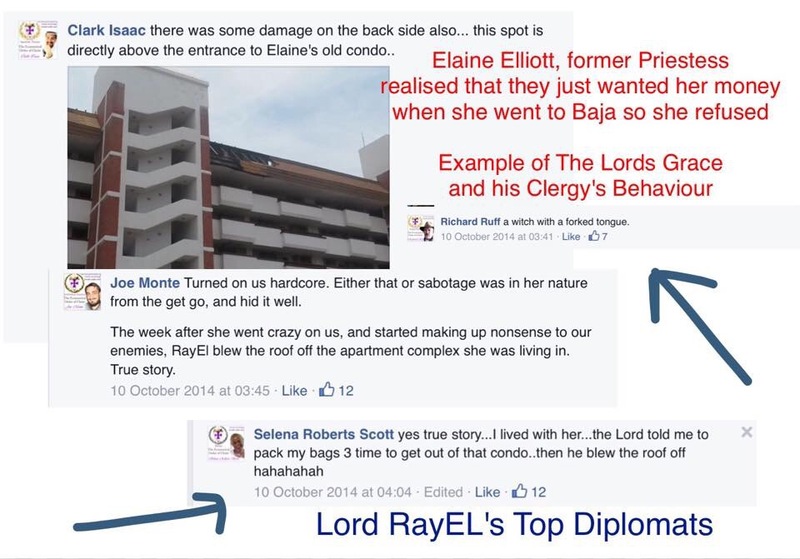 As you can read above, shameful behaviour from Bishop Selena Roberts – you may recall that this ‘woman’ laughed when X-priestess Elaine Elliott’s condo blew up. In respect to John Griffin’s comment regarding Criminal Prosecution – I would really welcome this. From a legal point of view — indeed I cannot be sued for slander 😉 as one would need to reveal oneself to counter the claim. Alan Douglas states that Raymond travels a lot. According to Angelus Domini (Alan Douglas) in April this year, RayEL was situated in the Commandery in United Kingdom with him. Derrrrr …. Raymond Lear is a wanted Felon- he cannot leave the United States. He has 80 outstanding warrants. It is a fact . . . That Alan Douglas /Raymond Lear / RayEL is NOT in the United Kingdom and that he is residing in the United States. 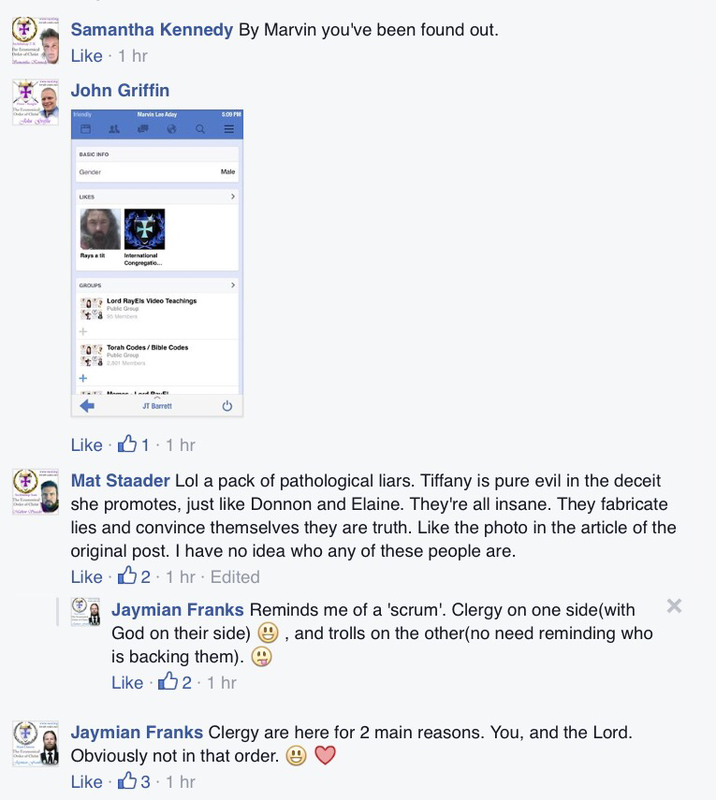 Nathan Kincaid – A Follower of Lord RayEL actually makes a good point. The International Congregation of Lord RayEL announced in September that Lord RayEL would be making a ‘Live Address’. But according to Alan Douglas – the time is not right now! Nathan also requests that Alan Douglas reveal oneself. But of course he will not do so as he and Raymond Lear are the same person. As you can see Alan Douglas digs his own grave. He has no proof that the evidence which has been presented by Lord RayEL Exposed is not FALSE. As mentioned in our earlier blog, none of the questions posed have been answered, pretty much in the same way as Nathan’s questions are being deflected. Oh dear … Like I said Alan Douglas just cannot help that Ego of his. 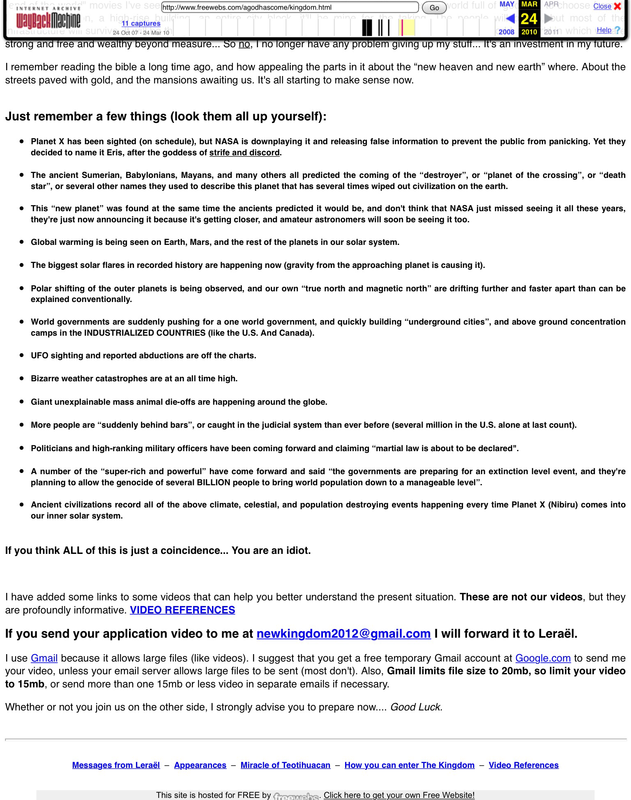 In actual fact what he has posted refers to a website that was set up by Angelus Domini pre 2011 – before ‘RayEL was infused with the Annunaki spirit’. You see this is not the first time that Raymond Lear has played at being a messisah. You can see for yourself by following this link. 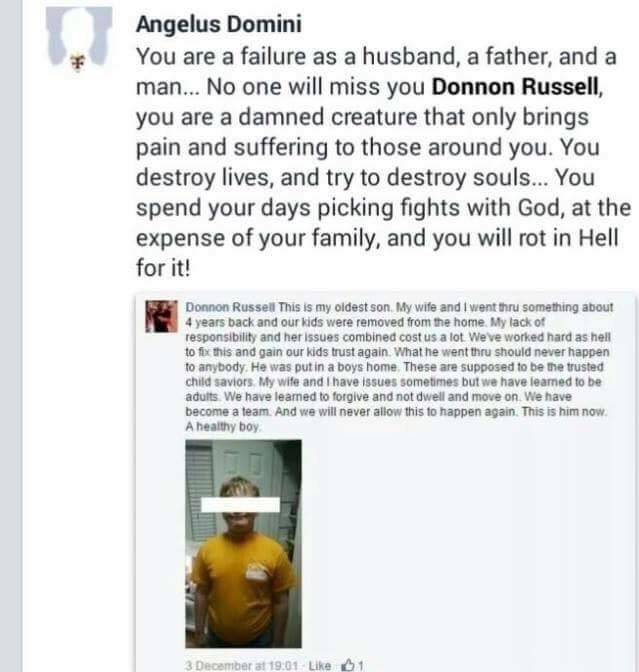 You will also notice that Alan Douglas (Angelus Domini) now attacks Donnon Russell a former member of his clergy who exposed The Cult. Interview with X-priestess Linda Graham whom was traumatised by this Cult. 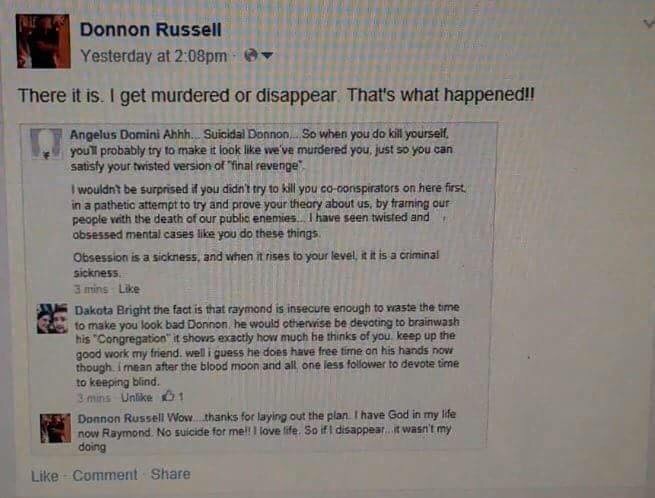 Donnon Russell has also received death threats via Alan Douglas (Angelus Domini) all posted online. Yes this is supposed to be the’Lords’ right hand man. Back to the thread …. The links to the following pages are from the website in question are posted above. You will notice that the spiel on the website mimics /plagiarises RayEL’s website. Coincidence I think NOT. You will also notice that John Picarelli was also removed from the Congregation. Why? He asks awkward questions. Compare this website to http://www.ra-el.org and you will see that it is virtually word for word. 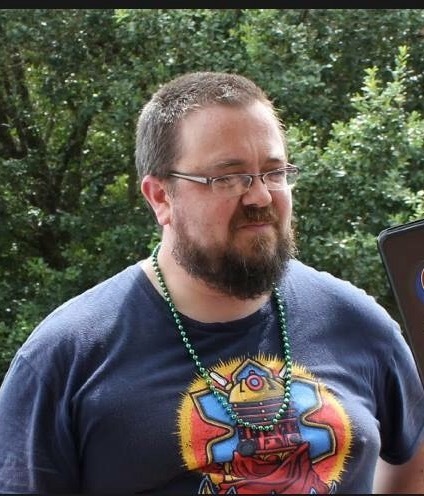 Alan Douglas would have you believe that this website is the French False Prophet named Lerael. 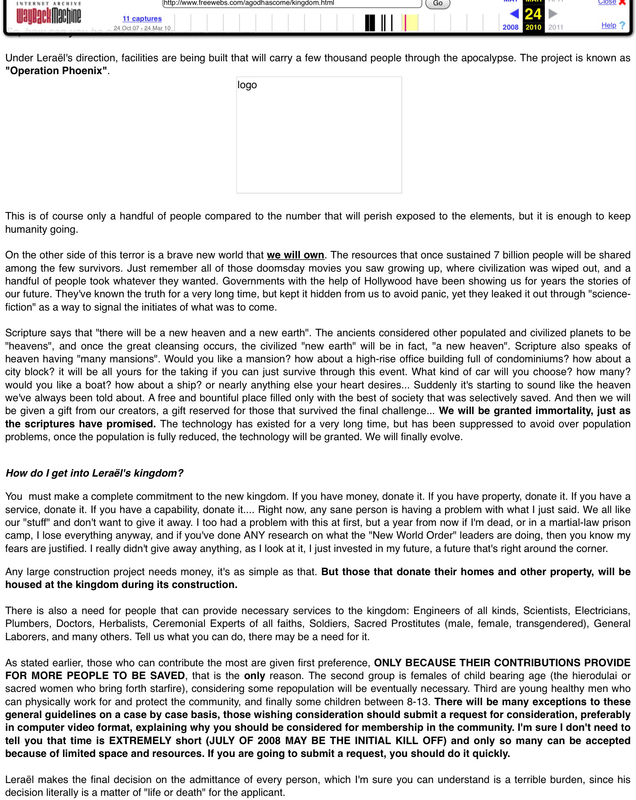 We have posed this question to Lerael and he has stated that this is not his website. Also you cannot fake WEB ARCHIVES. Surprisingly, these webpages (shown above) are virtually identical to Lord Rayels website – so who is the fraudster ? As you can clearly see cult characteristics. Marvin Lee Aday is now removed from the Congregation for asking questions. What Martin is actually alluding to is Richard Ruff’s comments. 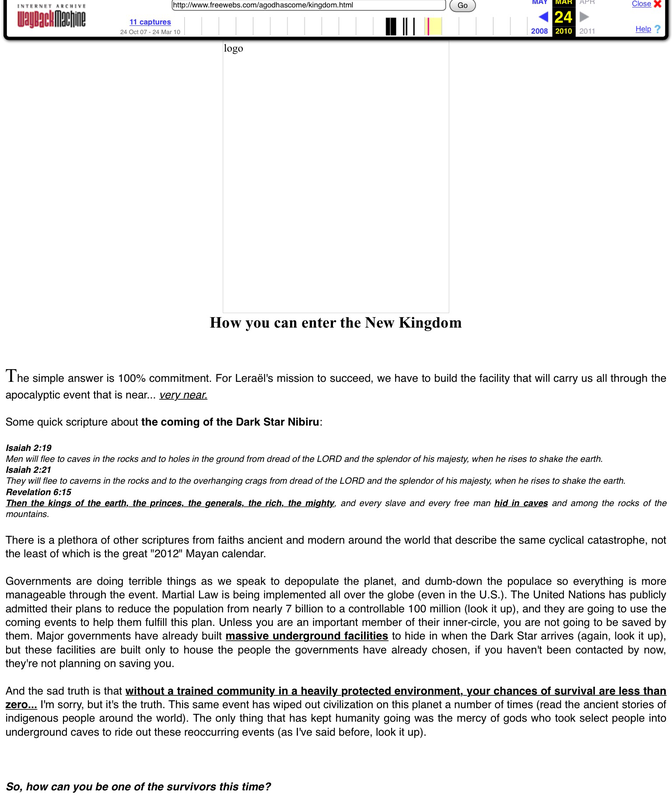 These as you can see have been posted in The International Congregation of Lord RayEL. Richard Ruff posted this article. All lies – this is a spoof paper generator. Having seen this a researcher decided to contact Australia times. Thank you for contacting Multimedia Australia with your newspaper story enquiry. We publish a number of online newspapers in Australia, the UK and US, but we do not have a member of staff by the name of Peter Christopher. We continue to monitor news stories as they develop. If you could please email us a link to the article you are referring to, if it is one of our newspapers, we’re happy to pass the details onto our editor for review. Thank you for your email. Could you please email us the Facebook URL where you saw this image, as this does not appear to be a legitimate article from our newspaper. http://www.fodey.com creates these articles. It’s a spoof website. 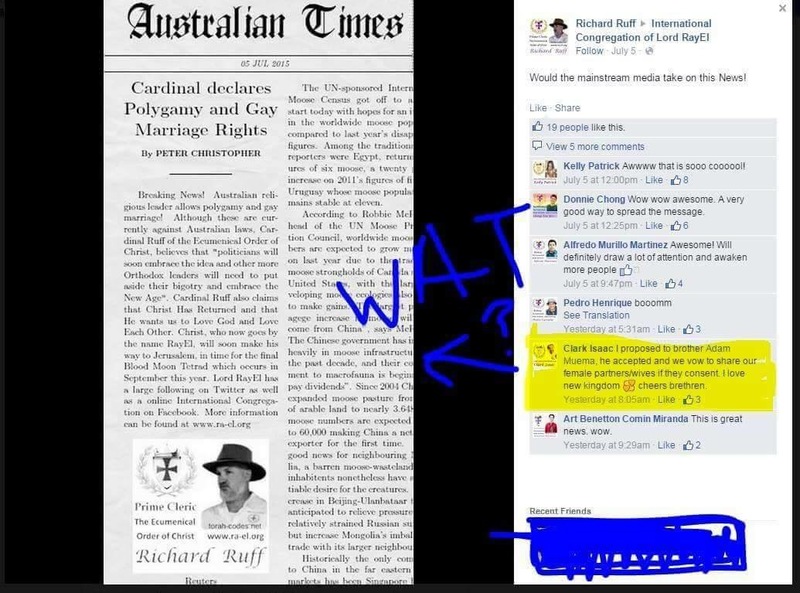 Peter Christopher does not work for Australia Times. GOD MAKES LIARS OF MEN AND there is no doubt that RICHARD RUFF HAS BEEN CAUGHT RED HANDED. THIS HIGHLIGHTS THE DEPTHS OF DECEIT and questions seriously his credibility. What is also astonishing is the gullibility of the moronic monks and I seriously question their involvement in this whole charade. Those who are exposing these fraudsters are called named Trolls. We are threatened with chastisements, Torah codes and unkind words. 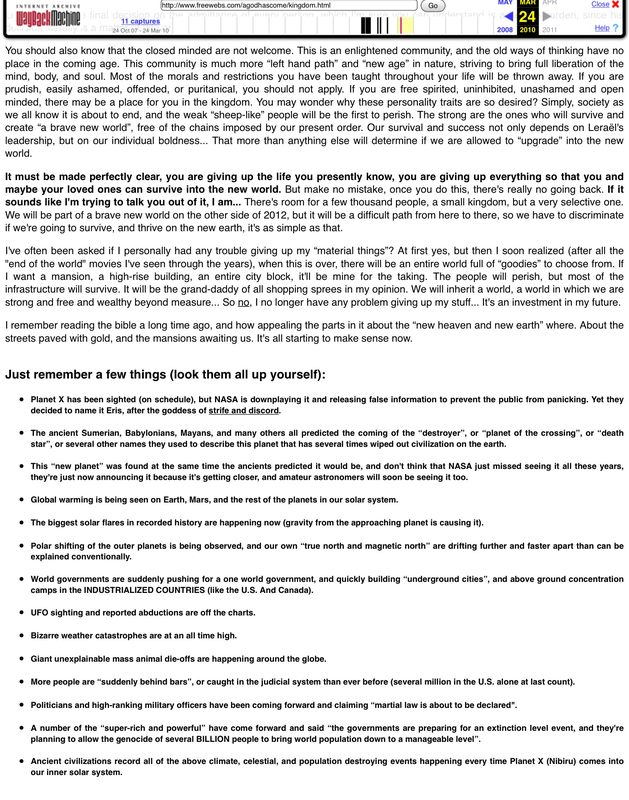 Everything that has been bought to you by Lord RayEL Exposed Is information collected from their Congregation and websites. It does not take a genius to collect evidence as mentioned beforehand, the EOC have become sloppy. What is remarkable about the Internet is AND THE CLOUD is that there is a trace – post in a public domain it remains so. A man with nothing to hide hides from nobody. A man with something to hide reads from the book of excuses. What is done in the dark of night is found in the light of day. He jumps from cult to cult 😉 or in this case .. According to the Courier Mail, she ran a gold bullion scheme which failed thus bilking investors. Dialogue Ireland has Debra’s money breakdown (via wikileaks), including the names of benefactors.